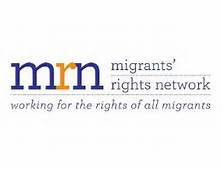 iStreetWatch is a service offered by Migrant Rights Net. The project collects reports from the pubic in order to monitor racist and xenophobic incidents across the UK. Racist and anti-migrant incidents are becoming ever more public and ever more prolific. If you have witnessed or experienced racist or xenophobic harassment, please submit your experience here. Everyone has the right to feel safe on the street. For many people, leaving their house means risking verbal and sometimes physical abuse. iStreetWatch was created in response to the rise in hate crime following the referendum result and is managed by Migrants' Rights Network. We all have a role to play in making our streets safe for everyone. iStreetWatch does not provide your information to the police. If you've experienced, or witnessed, a hate incident or crime we recommend you contact the police directly or use the police online hate crime reporting site True Vision. If you witness racist or xenophobic harassment, there are also other things you can do.